J.G. Ballard is one of the most significant British writers of the contemporary period. His award-winning novels are widely studied and read, yet the appeal of Ballard's idiosyncratic, and often controversial, imagination is such that his work also enjoys something of a cult status with the reading public. The hugely successful cinematic adaptations of Empire of the Sun (Spielberg, 1987) and Crash… (Cronenberg, 1996) further confirm Ballard's unique place within the literary, cultural and popular imaginations. 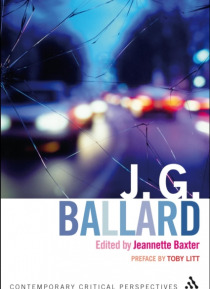 This guide includes new critical perspectives on Ballard's major novels as well as his short stories and journalistic writing covering issues of form, narrative and experimentation. Whilst offering fresh readings of dominant and recurring themes in Ballard's writing, including history, sexuality, violence, consumer capitalism, and urban space,the contributors also explore Ballard's contribution to major contemporary debates including those surrounding post 9/11 politics, terrorism, neo-imperialism, science, morality and ethics.